Sony Music and Warner Music have joined Universal music in their copyright lawsuit against online music provider Grooveshark. Filed in November the lawsuit alleges that Grooveshark executives uploaded copies of song they had no rights to distribute, thus violating the Digital Millenium Copyright Act (DMCA). In the lawsuit Universal says the company knew they needed a license for the material they were sharing but chose to ignore that requirement. The lawsuit could lead to a licensing agreement, that’s what happened when music powerhouse EMI Group sued the company over the use of their artists’ work. Much like internet and mobile streaming hit service Spotify the company allows users to stream music for free to their web browsers (they don’t offer mobile apps). The company generates revenue by displaying ads next to the music they stream. 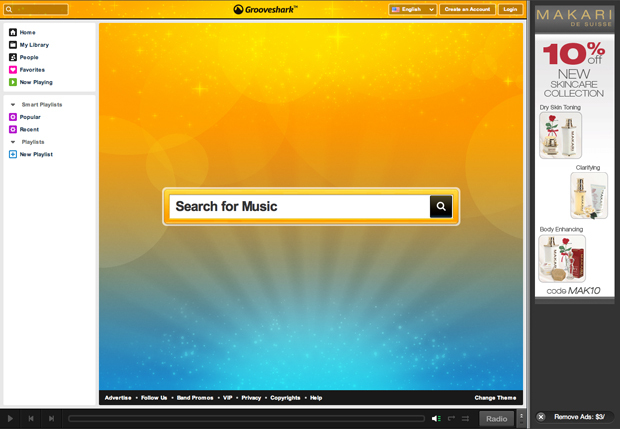 In speaking about the lawsuit Grooveshark executives will “aggressively” defend its rights. The company also released a statement in which they say they respect the intellectual property of all artists. Do you think Grooveshark should be forced to shut down their service or is their generally accepted industry sized payments to studios enough to keep them away from DMCA violations?